In part 1 I looked at both Fable 1 and Fable 2, what I thought about them and overall thought that the original was the best in the series for me. Both games soundtracks and setting were highlights, but Fable 2 made many changes that ultimately made the game too easy and restricted. Part 2 takes up straight after, by looking at Fable 3 and then I will talk about my hopes for the future of the franchise. While many people thought that the second game was an improvement for the series, for me that wasn’t the case. Fable 3 continued a lot of the same mechanics the second game introduced but with some refinements. Overall, it improved over its predecessor for me however, it still failed to capture the charm of the original to an extent. Thankfully, the dog companion returns likely due to rabid fans chanting across the world how great it was in the second game (me included). He helps find treasure, fight enemies with you and you can interact with him in adorable ways just like before. Also, it embraces more dark tones in its narrative again which helps to compliment the general light-hearted tone throughout the roughly 20-25 hour campaign. One polarising aspects of the game is the menu, which is represented as several rooms to navigate. While there are justifiable issues such as adding unnecessary length, I thought it was an interesting concept that was a fun addition. The story was good with a decent twist about two thirds of the way through, at which point the gameplay changes where you must decide, as King, whether to save up money to build up defences to protect the nation at the expense of the people’s happiness or risk their deaths in the incoming attack. Or, you can just build a real estate empire to easily get the funds whilst making everyone happy (capitalism at its finest). Either way, there was more opportunities to express whether you want to be good or evil. While the combat was once again easy, there were slight improvements made to make it so that there was more variety in combinations of spells. The world was interesting, with a variety of different locations from snowy peaks, lush forests or marshlands. Scattered in these locations were plenty of interesting storylines, from murderous chests to helping settlers drive back Hobbes. In all these quests and throughout the rest of the game, the series’ charm and humour seeps in and helps Fable 3 carve its unique identity in the genre just like the rest of the franchise. The game isn’t without its faults, like I mentioned earlier the game is once again much too easy, making me reminiscent of the original where there was a challenge. You could easily complete a playthrough without dying while not even trying. Whilst the house buying and renting system is a neat aspect, it also makes the game too easy and can easily take away from the possibly tough decisions of the later stages of the game because the protagonist can have more money than the entire nation. It also makes the job mini games redundant. These were my main issues with the game, however they apply just as much to Fable 2. In the end, Fable 3 makes decent changes that help make it better than Fable 2 in my opinion. The Fable franchise is by no means an amazing one as you can see by now, however, through unique design it is able to stand out confidently against other juggernaut franchises. With the right changes, the series can be made great and relevant again. Here are just some of the things that I would like to see in a future instalment whenever it is made. Open worlds are very popular now and there are plenty of good open world games as well as bad ones. However, I would want Fable to go the semi-open world route, where it is split into large explorable zones. By doing it this way, it can continue to evolve its established formula of interesting story driven side quests. Yes, there would need to be more side content made to accommodate the larger size, but it would be much easier to focus on quality over quantity if it wasn’t a full open world. I would want there to be more focus on characters this time around. The Witcher 3: Wild Hunt is a great example of incredible characters being written into an open world game. Fable would benefit a lot from this and it wouldn’t be much of a stretch from the original trilogy as there were a decent amount of fun and interesting characters there. Good characters really help to make the player feel invested in a story and help make it a memorable experience. The time period needs to go back in the past. Fable Legends was right (probably the only thing it got right) when it was going to be set far in the past when there lots of heroes still about. Many people thought that Fable 2 and 3 were advancing too far into the future, causing it to partly lose its fantasy identity. A much earlier setting would cause nostalgia for the older fans and probably help in winning back over people who felt that the later games lost its identity. Leading on from an earlier setting, the real estate system would need to go. It broke the game economy in Fable 2 and 3 and made the game too easy, you could pay for strong equipment early on and it made would-be significant choices redundant. Speaking of difficulty, the combat will need a complete overhaul and made it so that there was an actual challenge. In the end, the Fable franchise remains a memorable series for me. It has its clear issues that stop them from being truly great games, however, its unique charm and humour helps them set themselves apart from other fantasy RPG/adventure games. It is almost certain that a new entry will eventually be released, headed by a new studio (likely Playground Games). When that time comes, I would like to see big changes, but also for it to retain that unique tone that made so many people fall in love with the franchise in the first place. Thanks for reading, give it a like if you enjoyed and comment below your thoughts, what do you like about the Fable franchise and what do you hope a sequel does. 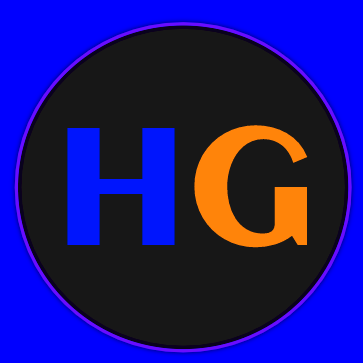 If you like the content I do and want to read more, why don’t check out some of my other articles and maybe consider subscribing, it helps me out.